Standard Value Added Tax (VAT) is 27%. There are special VATs for hotel accommodation and certain foodstuff (5-18%). Voltage is 220V and 50Hz with a European-style plug (two circular metal pins). 110 volts appliances need a converter and adapter. It is customary in restaurants and cafes to round up the amount to be paid by adding 10-15% to the bill depending on service quality. Certain restaurants charge a service fee; this is clearly indicated on the Menu and obviates further tipping. ATMs accept all major credit cards and are located throughout the city. In Budapest, major credit cards are accepted in all taxis and in most restaurants and stores. 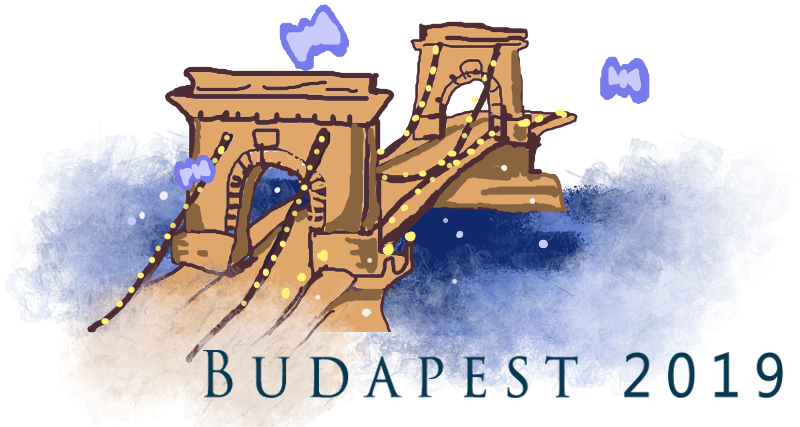 The average daytime September temperature in Budapest is 17 (12-22)°C. September is often sunny but you can expect rainy days as well (11 in average), so don’t forget your umbrella. In general, pre-purchased tickets are required and need to be self-validated on or when entering the system, but tickets can be also purchased from bus drivers. Public places are generally safe. Beware of pickpockets when travelling in rush hours. Licenced taxi cabs are full yellow in Budapest. Fares may vary; a typical fare to or from the airport is approx. 30 Euros (payable by card or in Hungarian Forints).